1930-80 WHOLE WORLD comp. 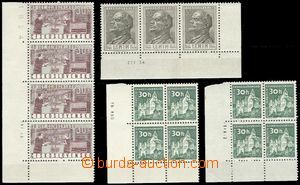 of stamps Europe also overseas in/at full 20-sheet stockbook A4, "medley"
Pof.141DV, 500h, with significant plate variety "klobouk on/for head", L margin, minor gum fault. 1900-2000 CZECHOSLOVAKIA 1918-39 + BOHEMIA-MORAVIA + CZECHOSLOVAKIA 1945-92 + Europe larger comp. entires, Ppc, also stamps, interesting medley, all in box about/by weight 22kg, We recommend it examination! 1995-2002 GREAT BRITAIN 1kg waste prints in box, postage stmp also special stamp. 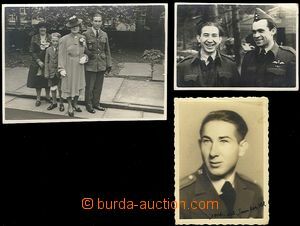 1930 PHOTO/ AVIATION album with 72 pcs photos various formats with motive of aviation, aerial views, technology, from ways etc..
ISRAEL comp. 13 pcs of small choice notebooks with used also clear stamp. 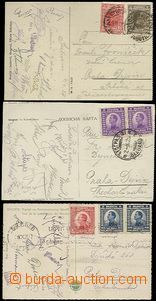 1914-18 FIELD POST/ AUSTRIA-HUNGARY collection of ca. 70 pcs of Ppc with various uniquely designed postmarks and postmarks FP, censorship etc..
1934 FOOTBALL, official picture-postcard of the 2nd World Cup Championship in football (FIFA World Cup) in Italy, sent just a day before the final match between teams of Czechoslovakia and Italy 1:2 (in extra time), Daily-Postmark Roma -9.6.34, with signatures of czechoslovak representatives: Čambal, Junek, Košťálek, Krčil, Puč, Sobotka, Svoboda and others; large format of postcard, light abraded corners, else good quality, extraordinary offer!